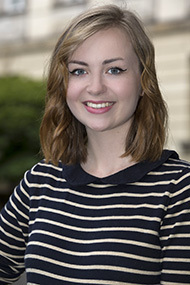 "I've applied for a research stay because it's a great way to continue my learning process. 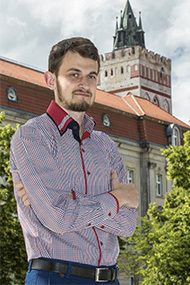 The stay will give me the opportunity to share my work and research with other scientists working in my area of ​​research I have chosen the European University Viadrina because it is one of the best universities in the field of border studies and European integration with a special focus on the German-Polish border region." 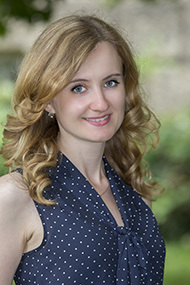 Research focus: Cover letter as a text type in Ukrainian and German advisory literature. Contrastive analysis from a linguistic-didactic point of view. 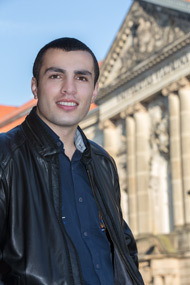 "A stay at the Viadrina is very important for my scientific and professional career. A wide range of courses and the modern library make it possible to prepare myself professionally for the newly introduced course "German as a Scientific Language" at my home university and my knowledge gaps. For me as a young scientist this kind of scientific exchange is very important, because it serves to develop a more open, international communication and networking between young researchers. As a result of a one-month stay I desire to build a relationship with other researchers, to reach my knowledge limits and to gain new expertise and, thus, to broaden my professional horizons in some way." Research focus: Romanian and Bulgarian “hustler” in Berlin: The construction of a new migration phenomenon? 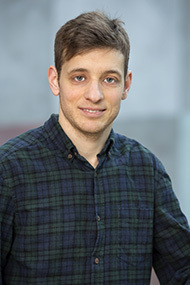 "I applied for a research stay, because I believe to achieve new substantially impulse for my dissertation and my further research network through exchange with distinguished experts in my research field. The supervision by Prof. Castaneda can provide new ideas and generate new impetus for my dissertation. Additionally networking with distinguished experts in my field is of great importance for my research career, which I aim to achieve." 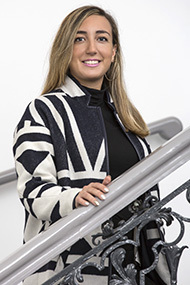 "The 6-week research stay at the Université Sorbonne Nouvelle Paris 3 on one hand is an exceptional enrichment for the work at my dissertation and contributes on the other hand to the international networking in the field of multimodal language acquisition research. I´m looking forward to develop and deepen existing research and teaching cooperation between both universities." 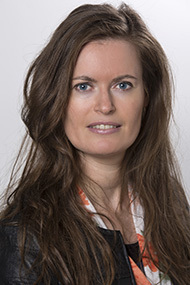 "The aims of the research stay is to promote the conception of an article in an inspiring environment and at the same time to develop and to deepen international cooperation with researchers at the Copenhagen Business School." Research focus: The national policy and language usage in Bács-Bodrog Comitat before and after the 1868: XLIV. "I applied for a research stay at the Viadrina to broaden my sources for my dissertation with relevant literature. 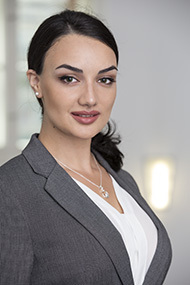 My main goals are to gain more knowledge about the nationalism and national minority policies of Central Europe, to write a chapter of my dissertation and to develop my German language proficiency." "(International) Networking is extremely relevant when it comes to working on a dissertation that focuses on Yiddish studies. At the UC Berkeley, research in the interplay between gender studies and Yiddish / Jewish studies is unique. My goal is to intensively reflect my dissertation through individual talks and the participation in colloquia and to integrate it in my research project." 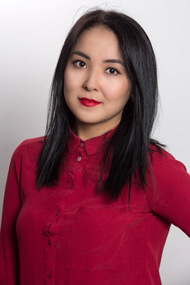 "I applied for the VIP research fellowship to work on the comparative chapter of my dissertation, to connect with other researchers in the field of whistleblowing and also to improve my English skills." 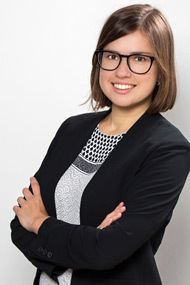 "While my dissertation in Political Science focuses on the analysis of decision making of Central European constitutional courts, it is grounded in the broader experiences of established democratic political systems which opted for a centralized model of judicial review. With its German location but strong international focus, I believe the Viadrina combines the unique German experience and the regional and global expertise that is necessary for any such endeavor. The interaction with other researchers at the Viadrina and establishment of cross-disciplinary networks at the Faculty of Law has a significant potential for advancing my theoretical and methodological toolkit for researching constitutional courts in Central Europe." "Since the scopes of my thesis require a deep doctrinal inquiry and analytical thinking, research fellowship will equip me with the right academic tools and assistance in pursuit of my study. 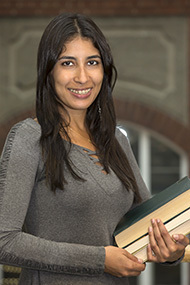 As I am eager to recruit myself into scientific projects and boost my scholar network, research fellowship will indispensably ensure my continued connection with an international scientific circle, professional relationship with international scholars, which, afterward, will strongly support in my career objectives along with the further academic goals." "I truly understand the importance of international science networking and mobility of researches. The European University Viadrina research environment and practices are very interesting to observe. Facilities, working process, current tasks, prospect of growth and even promotion – are those elements that might be kindly “benchmarked” to try to implement the best practice at the my home University." 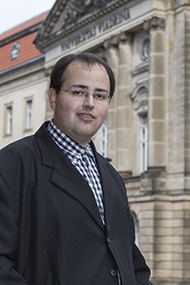 "I applied for an acquaintance stay in Viadrina mainly because, besides being a renown academic center, Viadrina's Faculty of Social and Cultural Sciences will certainly offer me the best possible research structure which is necessary for improving my present and future academic goals in the fields of theory, historiography and philosophy of history." 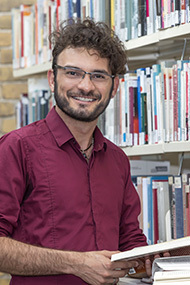 "I chose European University Viadrina to be part of my doctoral study once the contact with excellent professors from the Faculty of Social and Cultural Sciences can help me rethink and improve the fundamental topics of my research." 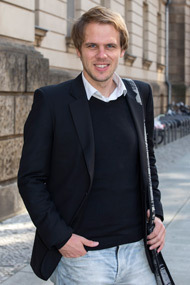 "I applied for a research stay at the European University Viadrina in order to work with Prof. Michael Minkenberg. As I study populist radical right parties in Central and Eastern Europe, the university is strategically located. Prof. Minkenberg is a leading expert on the populist radical right in Central and Eastern Europe and pursuing a research stay at Viadrina gives me an invaluable opportunity to further my academic career. The main goals of my academic stay are to further my knowledge of the populist radical right in Central and Eastern Europe as well as the methodological undertakings of my dissertation." "The European University Viadrina provides me the structure and support for developing my studies and building a broader network. I am interested in understanding the European and German debate on my topics of interest. Aside it, this is going to be a great opportunity for getting in touch with other researchers from all over the world and improve my professional network." "I applied for a three month research stay in order to receive feedback and gain valuable new perspectives on my project from researchers outside of my home institution. I was specifically interested in coming to European University Viadrina because there are researchers here who work on similar topics to my own interests. Additionally, the scholars at the Viadrina Gesture Center have developed a number of methodologies for the study of gesture that I wanted to learn more about in order to expand skills within my field of study." 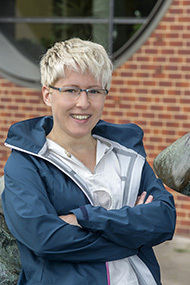 "This is an excellent opportunity to broaden my network, as well as improve my research skills with other researchers. I aim to enhance my skills in co-speech gesture analysis. So, during my acquaintance stay I’ll be able to get to know the software, techniques and procedures Prof. Muller’s group adopt to conduct their researches. Besides, this stay is an appropriate chance to establish a partnership between our research groups." 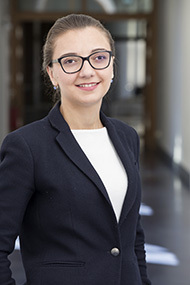 "European Viadrina University as Ukrainian Catholic University is a new, modern and ambitious University, and simultaneously institution of the two cultures – German and Polish. 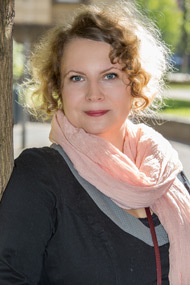 My PhD-thesis is closely connected with Polish early modern culture, and in general with cultural studies, which are comprehensive represented in the Viadrina University. It will be a great opportunity to find out about contemporary approaches in this field of history studying." 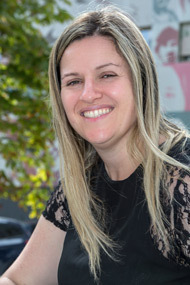 "As a Brazilian PhD student, I aim to do a double doctoral degree (Cotutelle). Therefore I see the acquaintance stay as a first step for a future research stay at the European University Viadrina for a longer period. Additionally the acquaintance stay will contribute to a stronger cooperation between Prof. Dr. Cornelia Müller and my research team “(Inter-)Cultural Communication in Interaction” at my home university." "What I am truly looking forward to is a new challenge and opening myself to even more opportunities that I have not yet imagined. I chose Viadrina because it is absolutely international oriented. 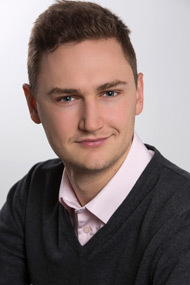 Being a Viadrina’s fellow also affords me the opportunity to network with current Viadrina’s fellows, and I hope it will facilitate my participation in the academic economics community more broadly." 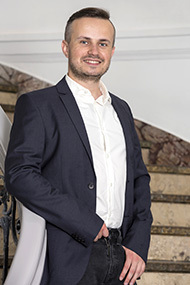 "The Viadrina University is a truly international academic institution paying a lot of attention to the area of my research, in particular international economic relations, international trade law and European law. I would like not just to write a profound PhD thesis, but to get new experience, literature and expand my research horizons." 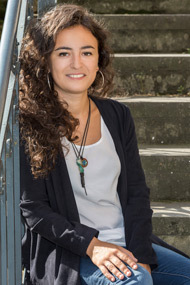 "During three month of research stay in European University Viadrina I plan to have more deep practice in qualitative methods studies on social transformation, and I’m going to observe public events as acts of communication and an invitation to dialogue awaiting feedback such as reciprocity, aversion or ignoring in the field of gender issues. I believe that chance that I’ll have with participating in VIP – for Graduates open the new prospects in communication between our universities." "The Viadrina is an impressive example of a higher education institution symbolizing the return of Germany and Poland to Europe’s intellectual and cultural values. It is admirable how in a short period of time and during the era of great changes following the fall of the Berlin Wall, the university leadership has managed to transform a traditional university into a place where new generations of transeuropean society is nurtured. This particularly sparks a curiosity of someone like me exploring internal dynamics of educational institutions and the position of Georgia‘s higher education institutions in a global European landscape." "The Sophia University is an excellent place to present my research results on site in terms of my own presentations and a publication. I expect to receive constructive feedback to my activities, which can be shaped from the different point of views and give me new ideas for further scientific research." "As a young academician aspiring for deeper knowledge and experience in the field my specialization, I believe that this short term research stay would offer me enhanced research and learning opportunities and new perspectives in dealing with the variety of issues related to my research. This program would also foster my personal network and professional growth as it brings me an appealing chance to get to know more colleagues specialized in the same field and broaden my research and publication, teaching and other work prospects for my present and imminent future. I would consider it as a further adventure in acquainting myself with a deeper knowledge and understanding of the diverse academic and research culture." 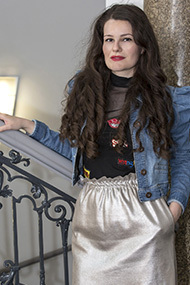 "I applied for an acquaintance stay at the European University Viadrina, because of the 2012 founded Axel Springer Endowed Chair for German-Jewish Literature and Cultural History, Exile and Migration. 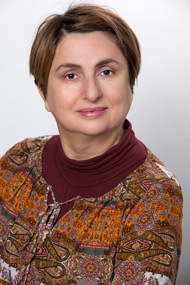 The aim of my stay is to find out more about the approach of the research colloquium »Diaspora, Exile, Migration, Methodological and Theoretical New Approaches« and to get to know the employees and the participants, in order to be able to predict whether a following one-year stay would be worthwhile." "Participation in the VIP will provide me with the opportunity to network and collaborate with fellow students and academic staff in my field of research and related areas. By gaining knowledge and information from researchers from other countries I will be able to enhance my research with cross-cultural insights particularly given one of my main research areas is focused on leadership, a global research topic." 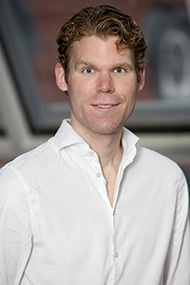 "I perceive this research stay as a significant contribution to my career and research and it is a good environment to show off my full potential and expand my skills and knowledge. I chose to apply to the European University Viadrina mainly because of its strong international character. The fact that Viadrina promotes values such as the peaceful coexistence and collaboration of people from different cultures sparked my interest." "Spending time as a guest researcher offers me the marvelous opportunity to get inspired by both outstanding scholars as well as by another culture. Since I am considering working in Germany after finishing my PhD, I am positive that my career will benefit a great deal from spending a month at Frankfurt (Oder). The acquaintance stay will be conducive to my network, career, and research - especially since scholars working in the cultural history department at Viadrina are working on topics that are vital to my research, such as ‘mental maps’ and transnational history." "The main research focus of the European University Viadrina is the region which is called Central and Eastern Europe. My research is also focused on that area. An acquaintance stay at the Viadrina will give me an opportunity to learn new approaches of the research on Eastern and Central Europe which could be useful for my topic. I would like to present my research and results to the academic community in order to introduce my point of view in exploring intercultural communication between Poland and Ukraine." 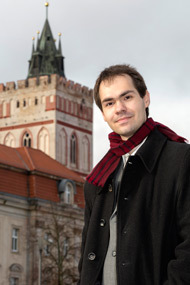 "I´m glad to spend my research stay at a well-known polish university. 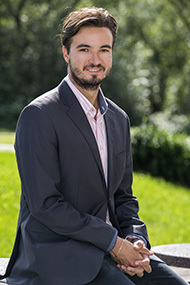 My interdisciplinary research project and the overlappings with the research interests of my host institution, were the reasons for choosing the University Warsaw. 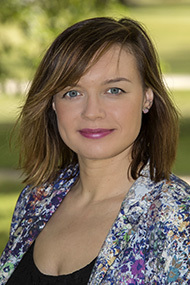 An important goal is the development of scientific contacts in Poland in the field of cultural and art history in order to embed my research in the polish discourse and to boost future cooperations." 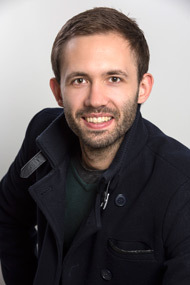 "An acquaintance stay at Viadrina will broaden and enrich my academic experience, research and international network, and help getting to know Viadrina and its researchers better who are doing research that is relevant to my current work. 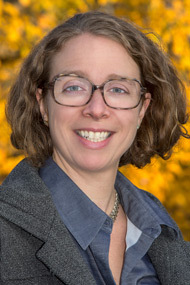 My intention is to learn from diverse perspectives that will improve my research and thinking as well as broaden my horizons toward my career post-PhD." 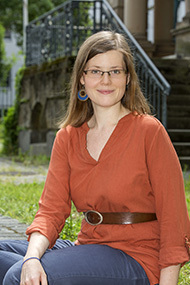 "The Viadrina Fellowship opens a new chapter in my academic life. In addition to promoting the realisation of a long time aspiration to experience the German academia, it places at my disposal, the prospect to not only get immersed into the German research culture, but also to remain connected to it. 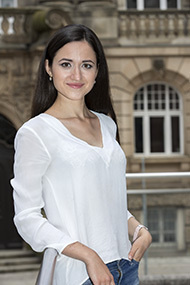 The wonderful and stimulating opportunity provided by the Fellowship for working under one of the most resourceful professors at Viadrina and networking with other international students is indispensable to the attainment of my short and long term career goals." 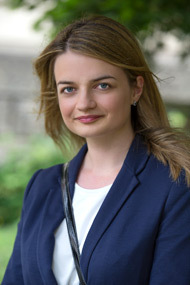 "A research stay abroad enables me to focus on a broader context in my research – not only from a German or Polish perspective – and in view of new methodological approaches. The involvement of the Finish perspective will be an enrichment for my research, because the Finish criminal policy approach to combat economic and corporate crime differs substantially from the Polish and German one. 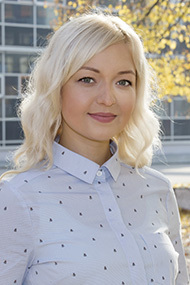 Since I´m in the final period of my PhD, the research stay in Finland offers the possibility to present my research project to international experts within this field." 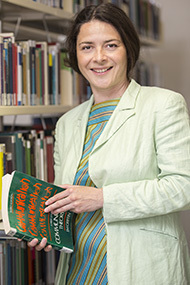 "My research focus on the development and migration of women´s and gender studies as an intellectual trend. My research presuppose the analysis of US sources. Therefore my research stay will be used for field studies. I hope to receive many valuable inspirations for my scientific work by networking and exchange of expertise with key actors of the american feminism. The research stay at the Columbia University enables me to have direct access to the latest US academic literature, to gain insight in the latest methodological approaches as well as exchange of expertise. I will certainly take advantage of this variety of opportunities during my 3-month stay in NYC." 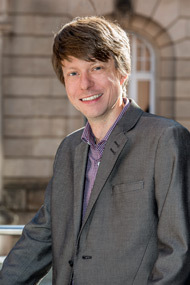 "As a research center for economic and social history, the University of Hertfordshire is an ideal place to develop my research and to observe my research with a critical eye. My host Prof. Dr. John Styles (University of Hertfordshire) is a distinguished expert in the field of early modern textiles trade and everyday clothing. Last but not least the archives in London offer a rich source of materials, which were not investigated so far from a central European perspective in the context of the Atlantic economic area. The University of Hertfordshire will enable me easy access to these sources." 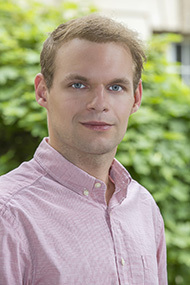 "Within a 1-month acquaintance stay, I would like to become acquainted with research opportunities at the Viadrina, deepen my knowledge in the research field of migrant prose and network in the field of literature. My research project deals directly with migrant literature. 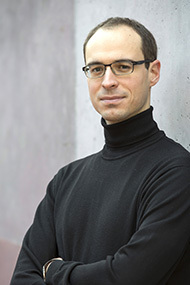 The conditions at the European University Viadrina enable a successful research in this field." "I applied for an acquaintance stay, because my thesis requires a great deal of cultural and historical research based in Germany. Additionally, as a postgraduate student looking to pursue an academic career, I am eager to meet other similarly-minded students and forge new friendships and professional relationships. 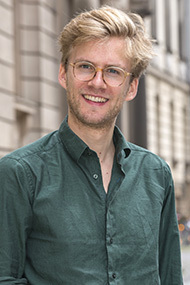 I believe that my time at the Viadrina will be a unique opportunity to relentlessly pursue my creative, scholarly and cultural research." "The Centre for Language & Discourse and Communication at the King´s College offers a wide range of workshops, conferences and publications as forums for discussions about discourse analysis. 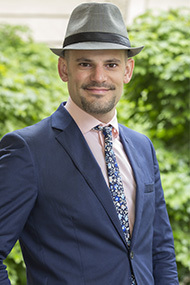 By gaining access to English-speaking discourse literature, I hope to participate in seminars and courses and to exchange with researchers at the King´s College as well as to receive many valuable inspirations for my discourse analytical approach and to give my research project an international perspective." 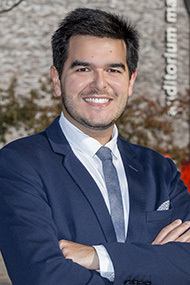 "A research stay in Germany will allow me to get involved in the international research field, which is highly important for researches in the area of political science. The research stay will enable me to get in contact with the German scientists and PhD students dealing with the same field of research. This will help me to build a useful academic network." 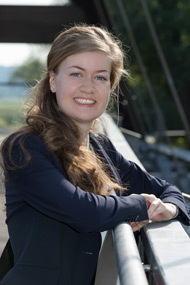 "The university situated close to a border of Germany and Poland has an ideal location to provide much valuable information about European taxation. Not just its perfect location but also international orientation impressed me. I would regard Viadrina as the most international German University. Similarly, I wanted to get familiar with well-known and active professors as well as doctoral students in this institution. The central aim of my acquaintance stay is to expand my understanding of non-domestic property taxation in Germany and Poland. This understanding could introduce a global perspective to my PhD thesis." "A research stay in the USA, the homeland of »drug courts« is of high importance for my research project. Primary objective of my research stay is to deepen my previous, still theoretical knowledge, especially the everyday practice of the drug courts. Last but not least Washington, D.C. is the perfect location to broaden my scientific network by having direct contact to local drug court institutions." 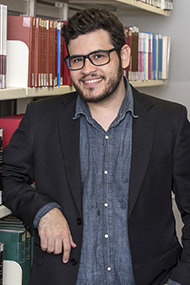 "My research into early-modern globalization is based on archival sources obtained from Portuguese and Spanish ports. This work is carried out in collaboration with the Centre de Recherches en Histoire International et Atlantique in La Rochelle and Nantes. This research stay affords me the opportunity to liaise with colleagues in those places and also to forge networks with research institutes in France." 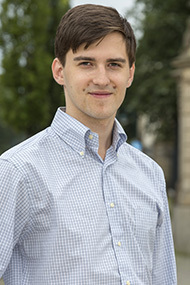 "I applied for a research stay at the University of Viadrina, because, in the first place, it will help me in the solid preparation of my doctoral dissertation devoted to Germany’s European policy. From the experiences of my colleagues and friends I know that our partner university, namely the EUV, creates an exceptionally friendly atmosphere to conduct research and scientific discussions. If there is an opportunity to present my research to students or doctoral candidates, I would like to deliver lectures on the Polish point of view on the current leadership of Germany in the European Union." 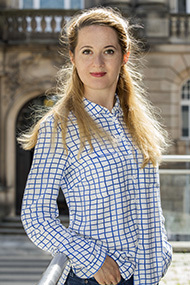 "This opportunity offered by the Viadrina International Program will allow me to gain insight into the various aspects of Human Resources Management, to give to my research an international perspective and to establish contacts that may be intensified in the future. I chose the Viadrina for my acquaintance stay because I think that several lines of research European University Viadrina are linked to my PhD research, for instance, the Human Resources Management or the Path Dependence Theory." "My scientific interest is international marketing and for this reason the fieldwork abroad is a focal point of my job. Furthermore, I was very eager to consult my ideas with the foreign researchers. I truly believe that it will contribute to even better quality of my final thesis and it will deliver the added value into my scientific discipline. 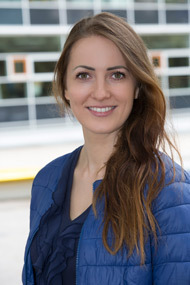 Before my application, I found a lot of information about the exciting projects conducted at Viadrina University and the institution seems to be very open for international cooperation what, in result, encouraged me to apply for the research stay." 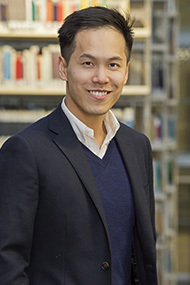 "The focus of my research topic is in comparing different countries and as a result many of the documents and materials are only available abroad. In addition, I also find exploring the issue first hand (in my case: the development of German-Polish relations) very important. During my research stay I wish to get to know scientists from both countries and witness German-Polish scientific cooperation at first hand. In the process of researching in Germany and Poland I wish to use both languages in my work and my free time and use the opportunity to improve my polish (level B2)." "I am deeply interested in German language, culture and politics. This fellowship gives me the opportunity to work on my PhD, to improve my German language skills and to get to know German culture. This research stay offers me the possibility to exchange experience, ideas and culture with other scientists. 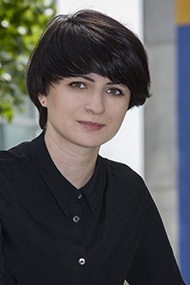 In addition to its importance for my PhD, my research stay at the Viadrina is also important for my professional life giving me the prospect of international networking and the chance to forge international contacts." 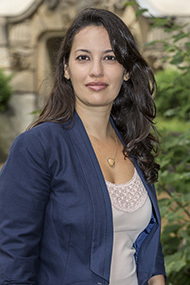 "I consider the research stay an enormous possibility to enrich my academic network since I would be meeting scholars and graduate students who also study border crossing in different areas of the world. 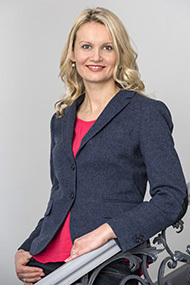 Besides, getting to know the city of Frankfurt an der Oder sounds attractive and exciting to me due to the fact that it is on the German-Polish border, wherein I would have the opportunity to connect theory and practice of border crossing." "I was drawn to visiting the Viadrina, and especially the B/ORDERS IN MOTION center, because the acquaintance stay allows for an extended visit, and thus a possibility for getting to know other students, researchers and the work they do better. I hope to get a sense of what is happening in migration research in Europe today, what new theoretical, methodological approaches are used to study borders, flows, identities. 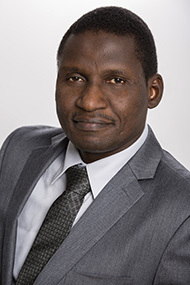 I would like to establish connections with people that work on similar issues." "On one hand the research stay will help me further develop my research by helping me build closer relationships with opinion leaders in my research field. On the other hand it will give me a peek into academic work in different cultural contexts and help me to forge international contacts and networks. 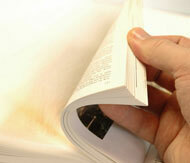 This research stay is to refine results from my PhD, which is currently in the process of being published." 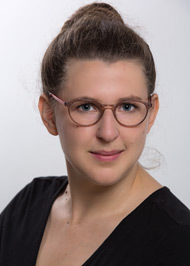 "This research in the field of international law relies on a transnational scientific exchange between young scientists, which is facilitated through the DAAD-funded Viadrina International Program. One goal of my research stay is to carry out research for my dissertation. 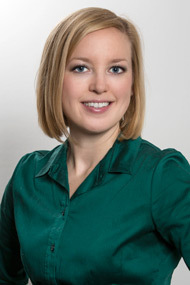 Also, it is important for me to develop a professional network of locally active scientists." "The European University Viadrina is well known in Europe as a research center. In addition, it has a great reputation for promoting German-Polish cooperation and offers a great research infrastructure. I hope that this research stay will enable my thesis to make a great leap forward. I will also be very happy if proposed projects between the Viadrina and the Adam Mickiewicz University are implemented." 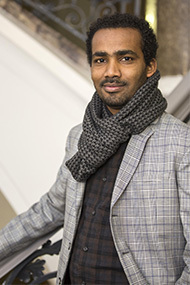 "This opportunity to spend a research stay in Germany will allow me to go deeper in my research area and get required knowledge under the supervision of leading professors in this area. My high interest in studying at European University Viadrina conditioned by the fact that the university gives great opportunity to work with one of the leading professors in international economics, international finance and macroeconomics which overlaps with my paper on growth diagnostics approach. 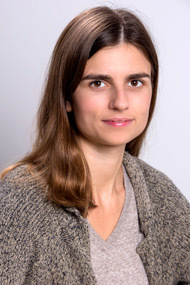 It is my academic goal to broaden my knowledge by doing research at European University Viadrina." "I applied for a research stay to broaden my international research contacts and avail myself of archives, research materials, and exhibits located abroad. This stay will enrich my project by offering experience, contacts, and materials not available at my home university. My goal is to meet with scholars and other students with related research interests in order to get feedback on and revise specifically the third and fourth chapters of my dissertation." "A research stay helps me gather analytical information and affords me better access to the newest developments in the area of cultural research and intercultural communication. Additionally it is an opportunity for an experience exchange with colleagues from other countries. The scientific profile of the university corresponds well with my research interests (applied linguistics, communication and intercultural competence). I find the atmosphere of the university, especially the support of research activities, extremely appealing and it also displays an international flair. 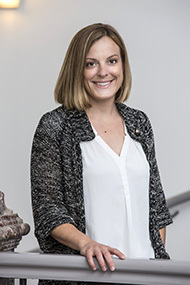 The affordable living and the opportunity to conduct research in Libraries in other cities in Brandenburg (Berlin, Potsdam, Cottbus) were also other important factors in my decision to make a research stay here." "The Viadrina International Program - for Graduates (VIP) is an opportunity to widen my horizons and learn about the work being done in other universities in fields relevant to my work. 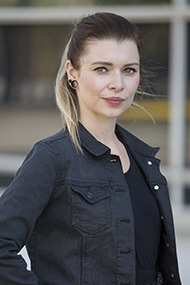 In particular, I am interested in meeting Dr. Anika Keinz from the Anthropology Department, and learning about the work of the B/Orders in Motion Institute. I also plan to interview representatives of cities in Germany that are members of the Intercultural Cities Network and learn about their application of the principles." 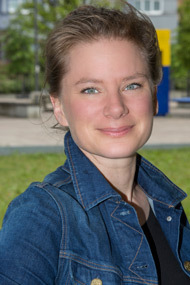 "My PhD project is about linguistic boundaries and about transcending these boundaries, which made the Viadrina Center B/ORDERS IN MOTION and in particular the subproject Grenzen in Gesprächen wahrnehmen - Grenzen diskursiv verhandeln (Perceiving and negotiating borders in conversations) very interesting for me to visit. Furthermore, the Viadrina is situated in a border region, which is linguistically very different from the Øresund Region, but it might have some interesting similarities with the Sønderjylland-Schleswig Region." 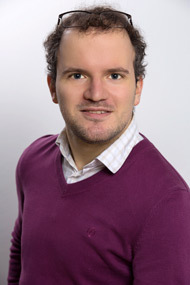 "I chose Viadrina for my research stay, because it provides broad opportunities to boost my research with data from developed market such as Germany. The main goals of my research stay are development of contacts with other fellows and the research group Dynamic Capabilites as well as independent assessment of my research." 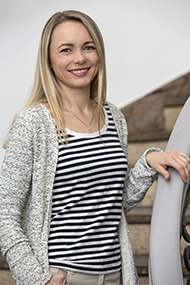 "My research stay in the USA is for scientific exchange, also I wish to expand the international aspects of my PhD so as to give the polish context of my work a broader base. My plan to participate in University courses, use of the Library, work with the Women’s Resource Center and especially talking with the local scientists affords me an excellent opportunity to develop my ideas and also to build a scientific network." 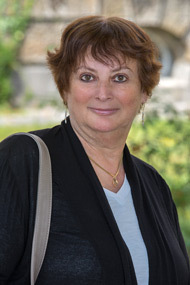 "I have chosen Haifa University, which is one of the partner institutions in theIsraeli Inter-University Academic Partnership in Russian and East European Studies. My stay abroad will enable me to improve my command of the language (Hebrew), complete research work in the archives and consult with top specialists in my topic." "The Universidad de Chile is one of the oldest and most respected universities in Latin-America. From the first contact it was clear there was a strong mutual desire to cooperate. Alongside the perspective of legal comparison I plan to speak with experts in day to day drug enforcement and develop important contacts for the further development of my project." "With this stay I hope to broaden my horizons and to enrich my research by forming new partnerships and hearing new perspectives. I have formed few truly valuable scientific partnerships, as of yet, in the German speaking world and I am sure I can improve this with my stay in Germany." 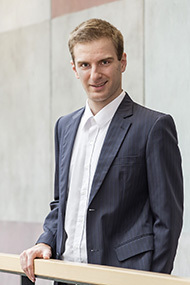 "Before starting my PhD, I spent a year in Berlin thanks to a DAAD-grant. Since then, I have always wanted to come back. This is especially important now, because I plan to pursue a career in Germany after finishing my dissertation. Also, for me it is very important to extend my academic perspective beyond the American sphere. I am particularly interested in opportunities for professionalization through the VIP."